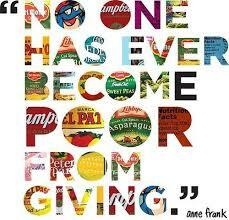 You Won’t Get Poor by Giving! But there is more that we can give. Not only things. We can give encouragement, support, help, time, care, love. Why is it that we are so greedy with nice words? Why is it so hard to express the nice things about someone (and ourselves)? Why do we feel that if we say that a person is good, we need to say that it is sometimes also bad, as if we need to even the good out with the bad, pin-point the bad, so he or she wont get too excited and encouraged. I recommend you to forget the bad. If you see, and mention the good in someone you create that in that person. That goes for yourself as well. If you see and say the bad about him or her you will get the bad back. We have both in us. Of course we all have both, but the point is to bring out the good. That’s what we do when we encourage, we see the good. Sometimes we really have to look hard and try to understand, but it is there. Try it! You’ll see that you can find something good in every person. At our Olive Retreats we ask if our guests have life goals. One guest answered in a sarcastic way that the three lines provided was to little to write all his goals up. 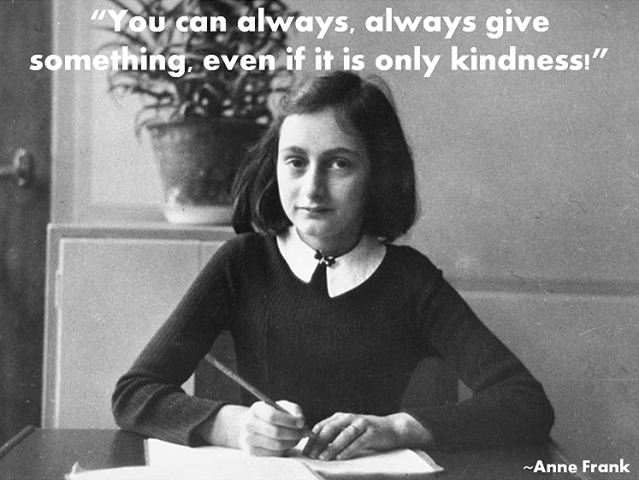 I only have one goal for myself nowadays; to be kind. If I’m kinder today than yesterday, and if I can be kinder tomorrow than today, I’m cool. That’s all I want. I also had long lists of life goals before. They all became less important with time, when life slapped me in my face and I saw te truth. I don’t even remember all I wanted and why. Now I’m sure that if I can be kind, to everyone and everything (including myself, and that doesn’t mean I say yes to everything, it can be kinder to say no sometimes!) I’m at peace, I get Prana, and all I want is what I will get, and need. ‹ PreviousWeltschmerz? Act and Others Will Follow!